Have you picked a destination for 502 Restaurant Week? 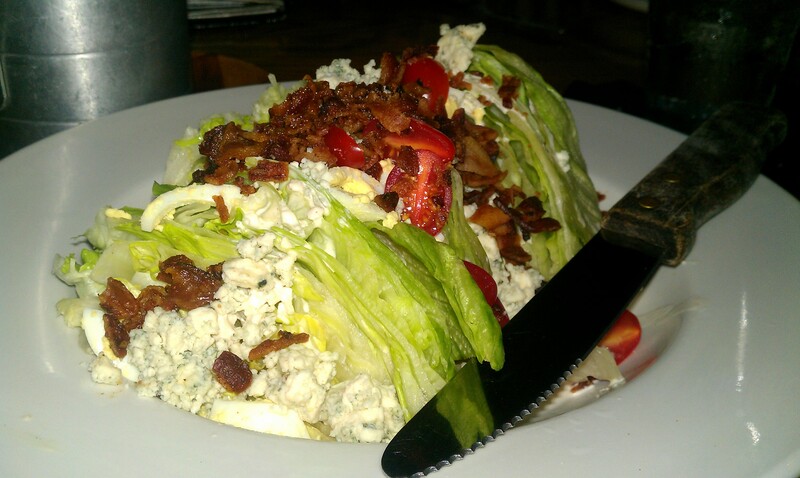 The BLT Wedge from AP Crafters Kitchen and Bar. This restaurant is a 502 Restaurant Week participant. My attempts to save a little extra money for a splurge are usually half-hearted. Just check my savings account. But there’s an envelope on my kitchen table with a trio of Andrew Jacksons reserved for a night out during 502 Restaurant Week. City-wide restaurant weeks have cropped up in markets across the country since New York founded a lunch-only (now expanded) restaurant week in 1992. Like similar events in other cities, 502 Restaurant Week gives diners the opportunity to eat at participating upscale establishments for a discounted rate. About 30 Louisville restaurants will offer a prix fixe three-course meal from a special menu for either $50.20 per couple or $50.20 per person, depending on the establishment. These prices don’t include tax or tip, and a beverage might be extra depending on where you visit. For places like Del Frisco’s, Ruth’s Chris Steak House, orGary’s on Spring, the $50.20 price tag is a significant deal on fine dining. Organized by 502 Events, restaurant week runs through March 3. Organizers have partnered with (among others) the Louisville Downtown Management District, which previously hosted the Fleur de Licious restaurant week, says Belinda Gates, owner of 502 Events and past LDMD board member. According to a media release on their website, the downtown management district might shutter Fleur de Licious for the future in favor of throwing their support behind the 502 event. This is 502 Restaurant Week’s first year, but Gates says she wants to see the venture become a destination event that showcases the Louisville area, including surrounding counties and southern Indiana. “We are a foodie town, and here’s the restaurant week to prove it,” says Gates. Rye on Market: Some of the most inventive cocktails I’ve ever sipped came from Rye. Other than a few nibbles of appetizers, I haven’t had a meal to accompany my drinks at this East Market Street restaurant. Blu Italian Grille in the Marriot Downtown: This is one of a handful of participating restaurants located in a hotel. “Local diners don’t always think of going to a hotel to eat,” Gates says. If Blu’s dinner is anything like their weekend brunch, I’m game to take advantage of the restaurant week menu. Napa River Grill: I’ve visited all of this eatery’s neighbors in Westport Village, but I’ve yet to sample this restaurant’s Northern California/Pacific Rim fusion dishes.